Alecha Stackle joined Thomson Reuters Tax & Accounting (TRTA) division in September 2015 to lead the global marketing team that develops and executes go-to-market strategies in the corporate, professional and government industries that TRTA serves. In this role, her focus has been to hasten the evolution of the marketing organization to a strategic business partner that delivers on the promise of modern marketing. Reorganized the marketing team from product-focused marketers to customer- and audience-focused segment marketers. Developed and implemented a rigorous campaign planning process that aligns each business unit’s objectives to marketing goals that drive all marketing activity. Reshaped the Quarterly Business Review (QBR) format from a one-way Marketing Qualified Leads (MQL) readout to a standardized format and cadence that allows for fruitful dialog between the business and marketing. Implemented multi-channel, fully integrated campaigns. Overhauled the lead management process to create standard definitions and flow across the business units. Instituted consistent reporting and analysis to measure impact of marketing activities and shifted the focus to pipeline development versus MQLs. Kicked-off a new approach to content and storytelling to better position the unique value TRTA delivers. Invigorated the marketing technology stack with new technologies to help drive demand creation. Focused on culture and skill development initiatives to increase the capabilities and collaboration of the marketing organization. 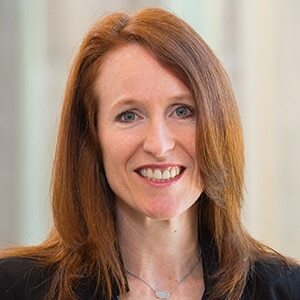 Prior to rejoining the Thomson Reuters family, Alecha enjoyed a distinguished 15-year career at Dell where she served most recently as the chief of staff for Dell’s chief marketing officer. During her tenure there, Alecha held marketing leadership roles in a variety of key business segments such as Preferred Accounts, Education/State & Local Government and Services, ensuring the end-to-end marketing strategies were optimally developed and executed to meet and exceed business targets.